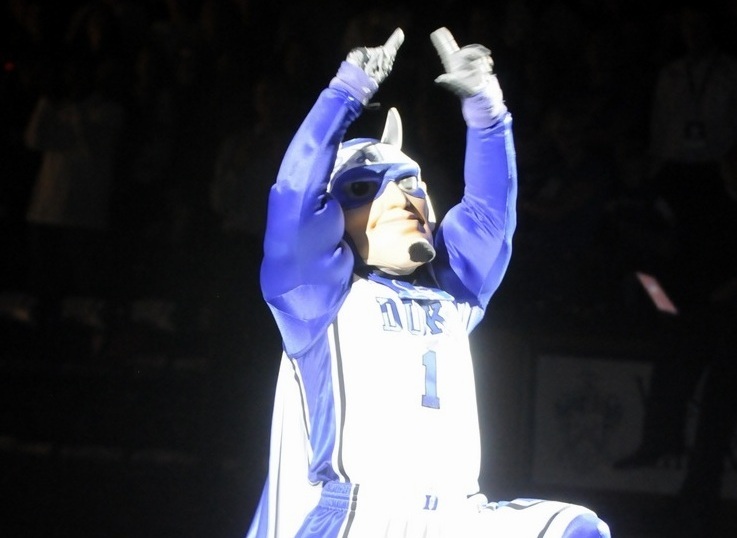 Fans were treated to the best Duke Basketball of the season in this weeks past two wins. The Blue Devils are playing spirited basketball despite being down to just eight scholarship players. The old girl Cameron Indoor Stadium is known for it's fans but it had been a while since it's been as good of late. 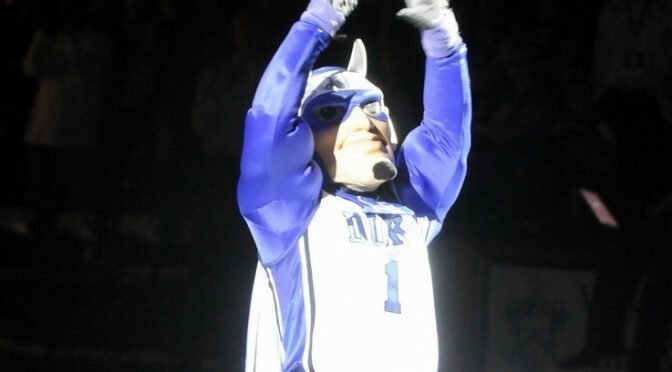 During the win over UNC, the place gave the Blue Devils a needed lift staying in the game with a never say die effort. The team, of course, had the same mentality and Duke came away with two fun, meaningful and memorable wins. The Crazies also showed up for the Clemson game and Duke put on one of their better performance of the season. Well, when you come back to win in overtime as Duke did over a UNC team playing good basketball, it is memorable. The win over their arch rival was an instant classic where Tyus Jones became a part of Duke legends who willed their team to win. But it wasn't just his play, for Quinn Cook was as good a senior leader as one could ask for in the game. Amazingly, Duke has showed no signs of wilting as other teams past had despite playing three freshman pretty much the entire game. The win still has the fan base buzzing and Duke riding high. How many teams could lose Jahlil Okafor to injury, have just seven recruited players available and rip Clemson apart? Not many. The Blue Devils moved he ball like no other time this season on the offensive end. They played zone the entire game which allowed them to press and gain the legs to run the ball when they boarded the ball or stops were made. In short, Duke put on a clinic once they got rolling over Clemson in a feel good win. The performance was the best job of the season for Coach Mike Krzyzewski and his staff. The week was the best of the season for the team who is riding high going on the road against Virginia Tech this week. Duke has played so well that they well could make a jump in the polls despite teams ahead of them not losing. Against UNC, Caleb Swanigan was cheering like he played for Duke. Dennis Smith Jr. and Harry Giles exchanged many a comment and Derryck Thornton lost his business like demeanor during the comeback win. Early returns are that all the prospects came away impressed and see that Duke is a place where freshman do contribute right away. Brandon Ingram took in the action against Clemson as well and Duke looks to add him to Luke Kennard who visited for the UNC game and Chase Jeter who will be here for Wake Forest. All in all, it's an important and good time for Duke Basketball on the recruiting front. Well, Miles Plumlee recently joined the Milwaukee Bucks. Kyle Singler was traded to Oklahoma City where he has already started two games as well. And in Los Angeles, JJ Redick and Austin Rivers went off in the same game for a big win. Some of the Duke alum are finding new and better situations and homes and it will be fin to watch progress this season.